THE FASHION DOLL REVIEW: Attention, Steffie fans! The one-stop collaborative eZine for the eclectic doll collector. 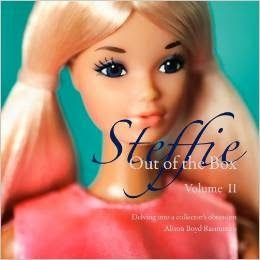 My new book, Steffie: Out of the Box, is now available for ordering. 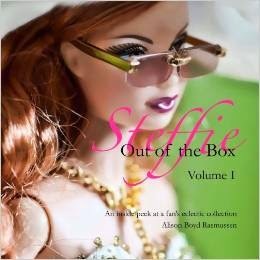 The Out of the Box series is a casual visual reference for doll collectors and fans of the Fashion Doll Review blog. An affordable paperback collection, this series examines specific doll styles, sculpts, and collections in 90 pages of color photographs and descriptions. 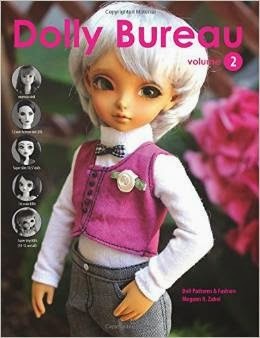 Fashion dolls are styled and dressed according to the book's theme. Resources and references are included. This book is now also available from Amazon. If you have prime shipping or if you are in Europe, this might be a better deal for you, so just hold tight. Plus, I'm hoping to provide a Look Inside preview of this book on there as well. These books are printed and shipped on demand from CreateSpace--this allows me to print just the copies I need and not have a garage full of them. It's a really affordable way to go in the printing business. In fact, if you have a book you'd like to write, I can highly recommend their services! 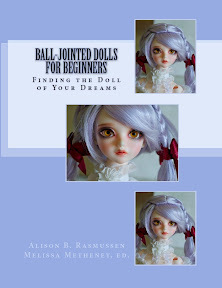 Third, you'll know you're supporting this doll blog when you buy a copy of this book. I think you'll like it. In fact--I think you'll like it so much you might want to recommend it to a friend! Wow! This book is a must. Can't wait to read it. Will you be at the Barbie convention? If so, come and see me! :) I'd love to chat! Congrats on the double publication! I am TOTALLY green with envy. Both books are on next month's must have list - this month's budget, has gone, sigh, where else? Wow, I'd like to buy one from you at convention. Should I buy it now and pick up at convention? I'm writing now about this book on my blog. Thank you again for writing it! @Ada, I'll try to make it to New Orleans, then! Did you meet Kathie at the Italian Fashion Doll Show this past year? She and her husband were there--selling vintage Barbie. She is a regular contributor to this blog, too. I met Kathy Moreau at Tonner Doll, and should see her again at Barbie! If you are allowed, as soon as my book is posted on Amazon, you should post an affiliate link to it from your blog--I think you can then get paid a little to sell it, if you like. It will be available in Amazon (US) and Amazon (Europe) as well. I'll email you today about the book. Thank you! Kiss. We welcome your thoughtful, on-topic, and relevant comments. We'd love to start a discussion here. Please note that links, off-topic, and irrelevant comments won't be published. 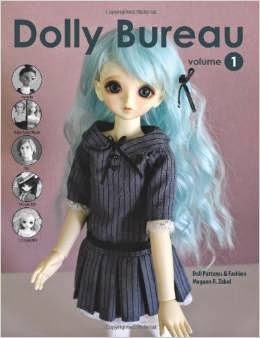 Suggested reading - more doll blogs! Alice: Out of the Box - Look Inside the book! Barbie Con Golden Ticket Drawing Winner! Jason Wu at Target December 1st! 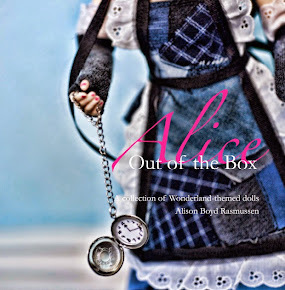 Alice: Out of the Box has also arrived! June 23 is "Sugar Day"
"Esse é o fim, ou apenas um começo"
Last Chance to Buy CC's Shoes! Please note that the we are not in any way affiliated with Mattel, Tonner Doll Company, Integrity Toys, Effanbee, Wilde Imagination, Madame Alexander, Ashton Drake Galleries, nor any other doll manufacturers. Our articles are the opinions of staff and do not reflect the opinions of doll manufacturers. We do not sell products on this site. It is intended for informational and entertainment use. While we do our best to ensure our information is accurate, we cannot be held responsible for inaccurate descriptions, pricing, shipping times, etc. Manufacturer promo photos are used under fan-use clauses. If a company wishes to remove a photo, please contact us. Other photos belong to staff or are used with direct permission of the photographer. If you see your photo used without permission, leave a comment, and the the photo will be removed. Readers may link to articles, but please do not download photos or hot-link. Article copyright remains with the author. We encourage sharing with doll clubs, but we'd appreciate sharing site info as well. Please contact the author prior to any other public use. Thanks! We use third-party advertising companies to serve ads when you visit our website. These companies may use information (not including your name, address, email address or telephone number) about your visits to this and other websites in order to provide advertisements about goods and services of interest to you. If you would like more information about this practice, and to know your choices about not having this information used by these companies, click here.